Going on a trip can be quite an exciting experience. It can be thrilling to go to new and fun places nationally or internationally. One of the challenges that people may face when traveling is packing and having the information they need. 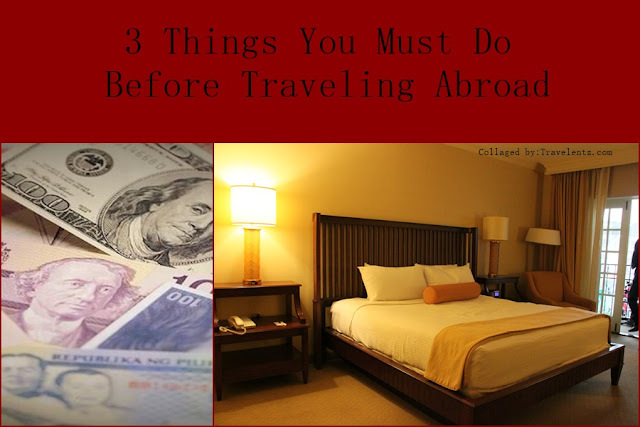 There are some friendly tips to consider that can help with the traveling process. Some people think of luggage as large suitcases that were popular back in the previous century. 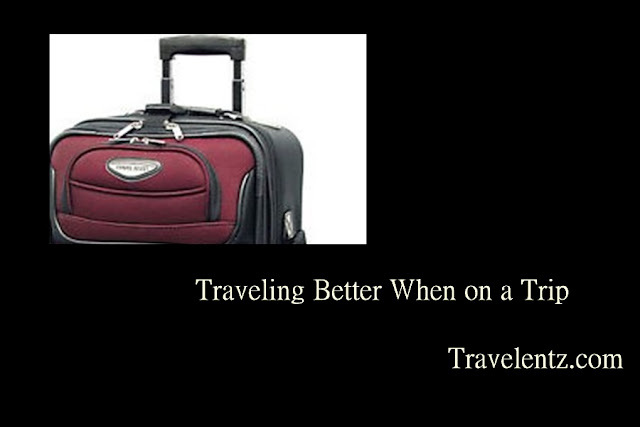 Although there have been plenty of changes since yesteryear, it is good to keep in mind that many types of luggage these days are designed for the traveler today. Numerous compartments are designed for personal items and for storage. Parents with children are pleased to learn that luggage for young ones contain many zippers, compartments and other helps that can ensure that a child has everything that he or she needs. Business travelers have special luggage that can help them when they need to take a suit or a dress with them for travel while protecting the articles of clothing. Furthermore, there are special containers that can hold personal items, such as makeup, a brushless toothbrush, razor and much more. While some may be very resistant to technology, the reality is that smartphones can be extremely beneficial to travelers when they are out traveling. A smartphone can be quite helpful when it is time to check in or if there is a travel delay. People can easily go on the Internet to get assistance if there is a delay while they are on an airplane. In addition to this, there are apps that can assist travelers. Many airlines have apps that can inform travelers when they want instant facts. Furthermore, hotels, car rental companies and other similar companies have discounts and useful information that are able to help people make informed decisions in a brief moment of time. Apps can be ideal for families or adults who need to distract themselves or children during a long layover. Whether it is time to travel by means of a train, car, ship or plane, having useful luggage and a smartphone can certainly help travel be more pleasant. Although many apps and various pieces of luggage cost money, the reality is that it can be well worth the investment. The result is that traveling can be quite enjoyable. 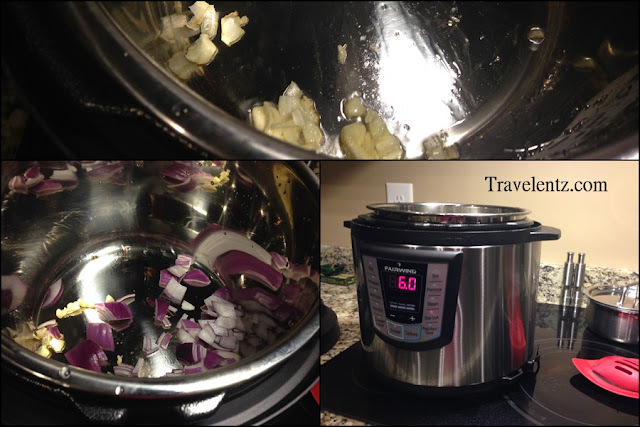 Disclosure: I received a FairWind FWPC6L Pressure Cooker for the purpose of this review. This post was made possible by Mom Spark Media: All opinion are mine. Perhaps you ask yourself why you should buy the FairWind pressure cooker if you don't really cook often. This is my first time to have a pressure cooker so I don't have any idea how to used it nor the cooking time. I tried the rice and happy with the results then I donated my rice cooker to save some space in my kitchen. I was been eyeing to buy a pressure cooker and I'm glad I had a chance to review the product in exchange my honest review. Actually, I received the product last year and I only got a chance to used last week during snow days.Seriously, its impressive and I amaze how the fairWind pressure cooker save my time. The functions I've been enjoying and I used often. 1. Set your pressure cooker in Steam,you don't need to cover. Heat the oil, saute garlic until it turns brown then add the onion until it soft, add the beef, stir until the meat turns browned. 2. Add the water, and the remaining ingredients. 3. Lock the lid and make sure it is locked and pressed the functions Beans/Chili.Do not open when you don't hear the sound. Make sure it is off before you open the lid. 4. Wait when you hear the sounds of your pressure cooker and you know its done. Enjoy! The rice was cooked the way I wanted and the soup was just right.The first food I made was chili/bean.Yay! it was my first time to cooked in pressure cooker and I'm satisfied with the outcome. The dried beans that I forgot to soaked overnight was cooked just within an hour. The manual is not informative and I think they can do a better job explaining about all the key functions and estimating time cooking. Disclaimer: Overall I'm impress with the pressure cooker and I am happy to have a chance to review the product. Disclosure: I received a FairWind FWPC6L Pressure Cooker for the purpose of this review. This post was made possible by Mom Spark Media: All opinion are all mine. Are you thinking about your family vacation this year? You might be thinking about planning to take your children somewhere exotic, a far off destination. Or, you could be considering planning a road trip. A road holiday is a fantastic idea if you are low on cash this year. Even if you’re not it could be the perfect opportunity to connect with your children and get closer to your family. Here are some of the things you should think about before hitting the road. There are a few options you can consider when hitting the road. You could book a few hotel rooms across the area where you're travelling. The benefit of this idea is that you will be able to stay in the stunning accommodation. It’s a smart move if you’re the type of person who likes having a plan to follow. However, it could also be a negative. Staying in hotel accommodation limits your freedom and puts you on a road that you have to follow. One of the beauties of a road trip is that you can go in any direction if you don’t book ahead. Another possibility is just to pack a tent in the back and hit the open road. But this won’t give you any space at all and older children may not like it. Particularly if you’re unfortunate enough to hit a few days of bad weather. You’ll all be stuck in the tent together, and unfortunately, they aren’t like the ones in Harry Potter. That’s why the best option might be to get a trailer. That way, you can have all the home luxuries you’re accustomed to. But you can still travel without being tied down. The latest trailers offer luxury accommodation, and all you need to do is make sure you have a car that can pull one. While we’re not suggesting you tie yourself down to a schedule completely, it’s a good idea to have a rough idea of what you want to do. You can have a look at some of the locations you could visit and see if there are any activities your kids might find interesting. You can also check out any activities that might be interesting to you or your partner. Remember, you don’t need to spend the whole time together as a family. As we said, the best part of a road trip is that it gives you a lot of freedom. You might also like to pack a few items for different activities that you might get involved in. For instance, a classic on the road activity is going fishing. If you know how to fish, this might be the perfect time to teach your children. You should think about buying a couple of fishing rods before you head off. Don’t forget that this could be an amazing trip for your family that you might not want to forget. So, why not make sure you have a high-quality camera packed, bought and ready to go? If you do that, you can make this holiday last a lifetime. So, you’re planning your next holiday, but you want to get back to nature? Well, here are some of the world’s very best natural holiday experiences that you should consider trying out. Many people who see gorillas up close describe it as one of the most astounding things they’ve ever seen. And there is something impressive about seeing these powerful creatures in their natural environment. They are not simply brutal animals as many people expect. They are also very gentle and graceful. This is the thing that surprises many people when they go gorilla tracking. There are lots of chances to do this in African countries, such as Uganda and Rwanda. Much of Switzerland’s landscape is made up of vast rivers and huge mountains. This makes it a great place to spend time for swimmers, boaters and hikers. You never run out of wonderful natural things to do when you’re in Switzerland. And the peace and tranquility you can find is astounding. But if you want to take your trip to Switzerland a step further, you could take an eco-friendly holiday in the country. The WhitePod Village is a great eco resort located by the water, so it’s a good option to consider. If you’re looking to combine a natural landscape with a thrilling adventure holiday, head to Colorado. Whitewater rafting is one of the most thrilling activities you will ever try out. If you have never tried it before, you should definitely do it. It’s one of those things that you get hooked on once you've tried it for the first time. There are other things like mountain climbing and hiking that you can also do in the vast American state of Colorado. It’s a great place for nature lovers. The most naturally diverse country in the world is Costa Rica. The Central American country is known as the home of conservation. So much money is pumped into making sure that the species and fauna of the area are allowed to thrive in their natural habitat. This makes the country one of the most stunning natural landscapes to visit on the planet. If you love nature, there is nowhere better. There are Wildlife Refuges, National Parks and lots of reserves. So, make sure you visit as many of them as you can. Watching a whale in its natural habitat never fails to stun you. It’s such an impressive sight, and you’ll never see anything else quite like it. There are many different places in which you can see whales in the ocean, but one of the best is Norway. The country is fantastical for all kinds of things, but the whale watching trips are always very safe and professional. And as long as you book a trip with a reputable company, you will get a guide who knows exactly what he or she is talking about. What's the right age to introduce music instrument to your kids? Basically, I asked myself what is the right age to introduce music instruments to your kids? Based on my research and reading it all depends of what is your goal for your kids. If you want your kids to be on the stage and have mastered one instrument you should start at the early age. My daughter has been asking to play a string instrument though I am not convince yet that she will take time to practice every day.I did not answer her yet but am searching and found this string instrument store and has an interesting products. You would think that everyone who drove would go to great lengths to make sure they had car insurance, but many are driving without a policy. The laws regarding minimum requirements are clear, and for many people, having a policy that goes beyond the minimum legal requirements is essential. 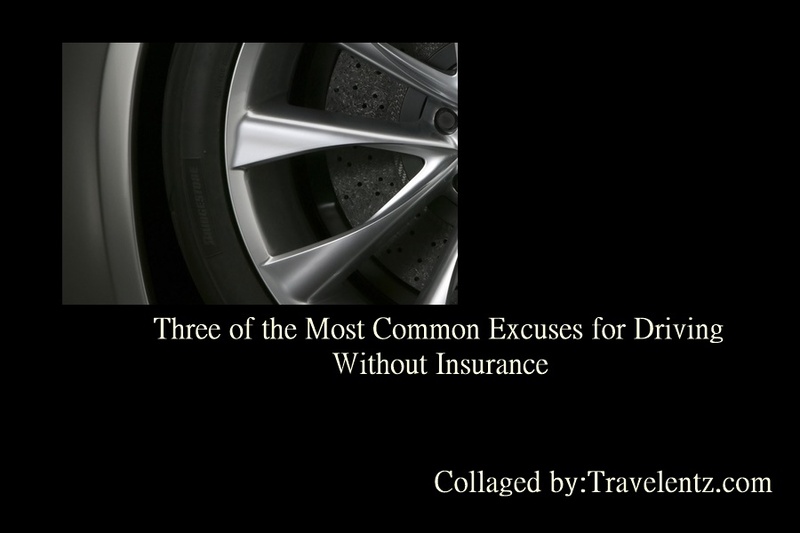 Although the excuses people make for not having insurance are wide ranging, the following are the three most common. They own a car, and it is in good working condition, but they never use the vehicle. Naturally, what happens is that the first time they decide to use the car, they don't bother getting insurance and simply begin driving. It only takes one short trip in your vehicle to get involved in an accident, and without insurance, the consequences will likely be severe. In addition, you should keep in mind that in California, if your car is registered, it must be insured. If you are not planning on using your car for an extended period of time, it is possible to not register it, and then you will not need insurance. However, if you attempt to drive the car, it will neither be registered or insured. This is irrelevant. No matter how safe you drive, it is still possible to get into an accident, and this is why insurance is needed. The thinking is that if you get into an accident, the other person's insurance company will pay for damages to your car, and if the accident is your fault, then you will have to pay for the damage out of your own pocket. The thinking is that if the accident is your fault, then you deserve to pay for the damages. The problem is that it is possible for the damage to go beyond anything you could hope to pay for, this is why state laws mandate a minimum amount of coverage when you are driving. It is to protect other drivers when the accident is your fault. The truth is that if you cannot afford to buy car insurance, then you cannot afford to operate a vehicle. Sell your car or put it in storage, but do not drive without insurance. Of course, many people who claim they cannot afford insurance often think that they must pay the entire cost of the policy up front. This is usually six months, but the truth is that you can make monthly payments on your insurance policy. If you are one of those people driving without insurance, you need to stop immediately and get a few quotations for a policy. A car insurance downey ca agent is ready to provide you with a competitive quote today. Last month we decided to stayed at Gaylord Opryland Hotel and Resort for a night though we live in the area. I'm glad we did it and had a chance to enjoy away from the daily routine at home. One of the restaurant we dine-in was the Findley's Irish Pub, it wasn't our first pick and surprisingly it worth every dime-the food were tickle our taste buds. We have two order the Potted Smoked Salmon and the Lamb burger. The food was just enough for the three of us.I decided to had a small plate as I'm not that hungry while hubby enjoyed his beer. The Findley's Irish Pub is located in Magnolia in Gaylord Opryland Hotel and Resort. As the fact it was holidays all the restaurants was full and you have to wait for an hour or have reservation just to dine-in. If you’ve always dreamed of witnessing the incredible Northern Lights, you’re not the only one. This incomparable sight is one that many people attempt to see each year. Some with more luck than others. They are fairly unpredictable and it is never known where or for how long those iconic neon lights will appear. Quite obviously, the northern hemisphere is your best bet for seeing the Aurora Borealis. Multiple northern countries now have an excellent viewpoint of the lights. Meaning you’re spoilt for choice when planning your adventure. Here are just a few examples of places you could choose from. You might be wondering what is the chance of seeing the Northern Lights in Scotland? Well, there is no straightforward answer. You need a clear night sky without any cloud coverage to get the best view possible. This is not something that is always possibly in Scotland as they are known for having rain and cloud throughout the year. However, the Scottish highlands and Isles of Skye have been known to have sightings of the lights when the weather is crisp and clear. The chances are slim but if you keep track of the weather conditions you might just be in luck. Use the Aurora watch UK website or twitter page to forecast the likelihood of a sighting while you’re on your trip. Travelling abroad to Northern Norway is one of the best chances you will have of spotting the Aurora Borealis. Lapland, in particular, has frequent clear skies and dark nights that make perfect conditions for the lights to appear. October to March is the ideal time frame for visiting so book your trip for around this time for the best chance. Lapland is also not very highly populated meaning you won’t get a lot of light interference from people’s homes. Too much light can ruin your experience and dull the colours of the lights. So this element makes it an even more appealing location for the most vibrant display possible. Alaska is another top location for Northern lights watching as it has an extended period of clear skies and ideal weather conditions. Late August to Mid April is the ideal time scale for seeing the lights here, with March being regarded as the best month to see them. Again regions to the north of the country will have better vantage points and stay away from heavily lit and busy regions. For some much-needed insight into whether you will see the lights or not, you can use the University of Alaska’s two-day forecast system. This is frequently updated online and will increase your chances tenfold. Do plenty of research and reach other tourists accounts of their experiences before heading to any of these destinations. A guided tour with a knowledgeable host will always be beneficial. As it will provide you with more information on this stunning natural phenomenon. With a little research, a clear night sky and a prime location, you’ll have the best odds of seeing the Northern lights in all their splendid glory.